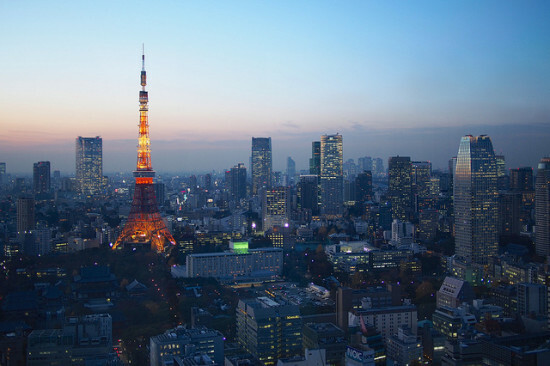 A good sale to Tokyo with availability for travel around Thanksgiving and New Years. DCA – MSP (Minneapolis) – HND (Tokyo) – MSP – DCA. 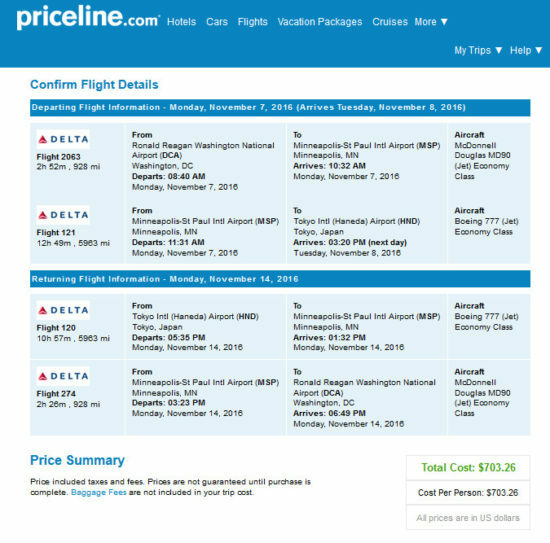 Availability from both DCA and IAD, use WAS on the From: field on Priceline to search for both. Unless you are a Delta frequent flyer, you would earn more redeemable miles crediting this to Alaska Airlines if you take a routing that is 100% operated by Delta with Delta flight numbers. You will earn 50% mileage or 6,891 miles when crediting to Alaska with this routing. Mileage accrual will vary depending on routing.